Apple’s legal battle with Samsung currently under way in federal district court in California has yielded a treasure trove of inside scoops about iPhone and iPad prototypes and future devices that may soon be on store shelves. After just a week of courthouse drama, public documents have shown Apple’s designs for an iPhone with curved glass and an iPad with a kickstand, as well as discussions about an iCar and a 7-inch iPad. Samsung isn't immune to scrutiny either, with indications the Galaxy device maker has a 12-inch Retina-like slate headed your way. We should note, also, that both Apple and Samsung wanted to seal much of this evidence from public view, but Federal District Court Judge Lucy Koh nixed that early, saying that redactions would be few and that parties should assume the court records were open. Here’s a look at five product highlights from the Apple-Samsung legal tussle. In mid-2011 rumors were circulating that Apple would launch an iPhone with curved glass, which turned out to be wrong when the iPhone 4S launched in October. But Apple considered such a design for the original iPhone. Former Apple designer Christopher Stringer said Apple intended to produce an iPhone with curved glass, but gave up on the design due to cost concerns. Check out Network World for the complete story. Microsoft’s built-in kickstand concept for its upcoming Windows 8-based Surface tablets may not be so innovative after all. Apple was considering a similar idea for the iPad based on prototype photos The Verge dug up from court documents. The biggest difference, however, is that Apple was evaluating a single rod-style of a kickstand similar to a tripod leg or a bicycle kickstand. Microsoft’s Surface kickstand is a bar of plastic that folds neatly into the back of the device. Speculation continues that a 7-inch iPad is on its way to compete against devices such as the Amazon Kindle and Google’s Nexus 7, but the mini Apple tablet has yet to be announced. Nevertheless, we now know Apple has at least considered selling such a device based on a January 2011 e-mail from Apple executive Eddy Cue that appears in court documents. What’s more surprising, however, is that Cue claims in the e-mail that Jobs was receptive to the idea. The former Apple chief famously derided 7-inch slates in 2010 saying the smaller display sizes were not big enough to create quality tablet apps. It’s not clear just how far this idea got, but following the success of the iPod, Apple executives went crazy with ideas for products that could take Apple beyond computers. One idea was an Apple-branded car, according to court testimony from Apple executives. The news follows public comments in May from Apple board member Millard Drexler, who is also the CEO and Chairman of J. Crew. Drexler said that Jobs had hopes of designing a car before he died in 2011. Fast Company has video of Drexler’s comments. Samsung may soon launch an 11.8-inch Android-based slate with 2560 by 1600 resolution at about 256 ppi, according to court documents uncovered by The Verge. 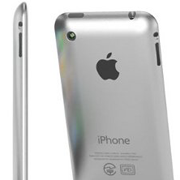 The device’s high-res screen would put make it a Retina-like display similar to the newest iPad model. Code-named P10, the unannounced Samsung slate could launch in late 2012 or early 2013. The one thing that has yet to leak from court documents is Apple’s plan for the next iPhone expected to debut on September 12.